CT. NOTAIRE JACOB LE 17-4-1690. CT. NOTAIRE CRESPIN LE 17-1-1771 À MONTMORENCY. CT. NOTAIRE CRESPIN LE 20-01-1769. CT. NOTAIRE BOISSEAU LE 20-01-1744. CONTRAT NOTAIRE RAGEOT LE 17-03-1683. 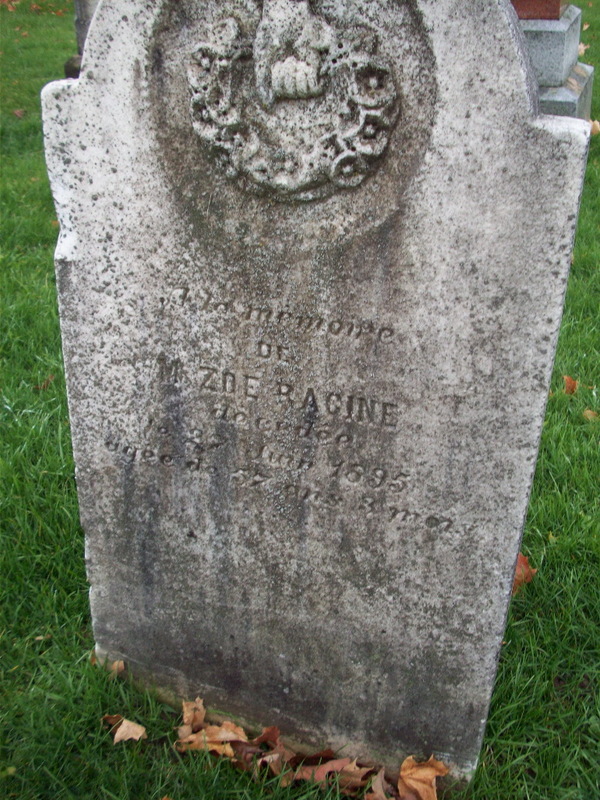 PARR/MARR: FRANÇOIS LACHANCE ET MAGDELEINE RACINE. PAR/MAR: JOSEPH ROUSSEAU ET HERMINE DUGUAY. Par/mar: Emmanuel Côté et Emilie Claire-Houle. PAR. & MAR: JOSEPH MANSEAU & ANGÉLIQUE ROGER. 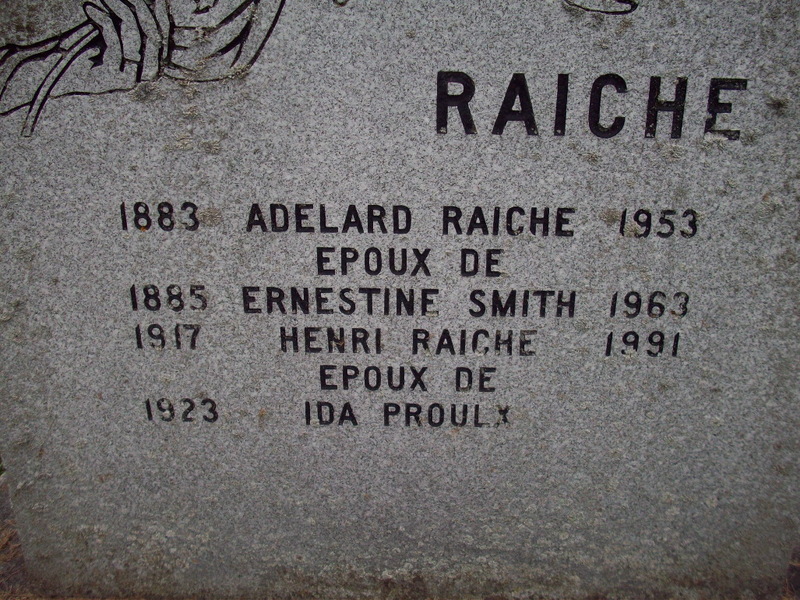 PARR/MARR: WALTER RAICHE & PAMÉLA ALIE. PAR. 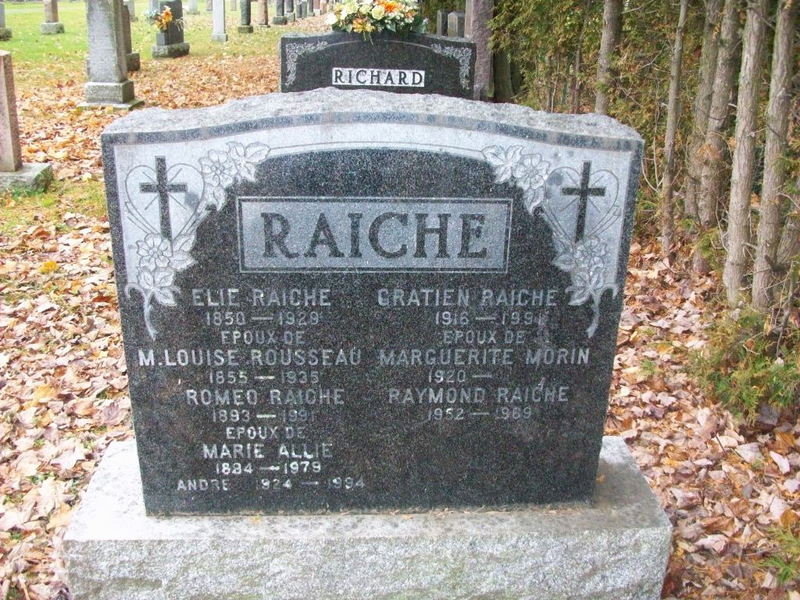 & MAR: JOSEPH RAICHE & MARIE-ANGÉLIQUE PROVENCHER. PARR/MARR: PRIME RAICHE ET MARIE CHAMPAGNE. 1-7-1895 AU REC. DE 1901. AU REC. DE 1911 EST Y EST DITE MARIANA. PAR/MAR: JOSEPH POUDRIER ET ZOE LEVASSEUR.